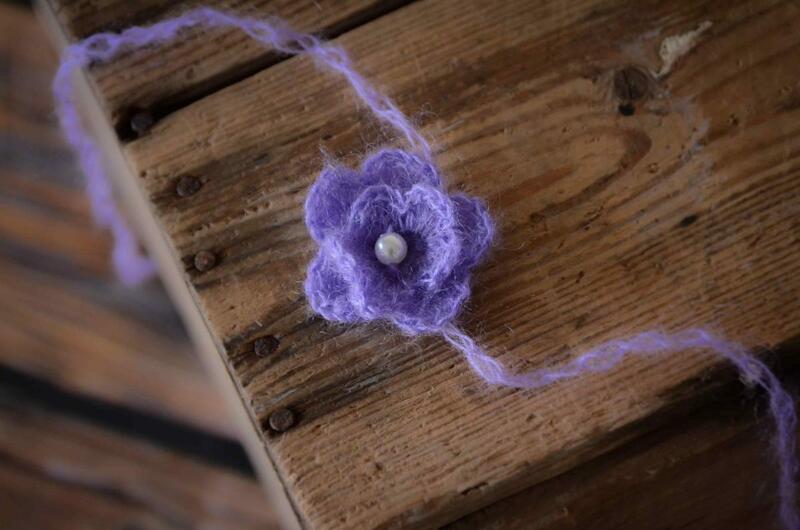 Small headband hand-woven with soft mohair threads forming a flower and decorated with a white pearl in the middle. 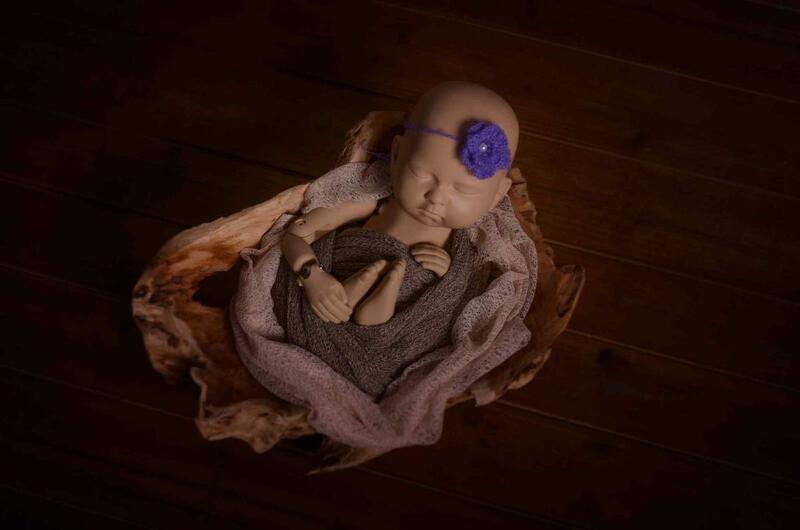 This product, thanks to its measurements, is perfect for all types of photo sessions: for newborns or sitters, in studio or for outdoor sessions, for those in which the baby is placed on the bean bag with the bean bag backdrop stand or when we place them inside some stands... Ideal for all kinds of sessions. 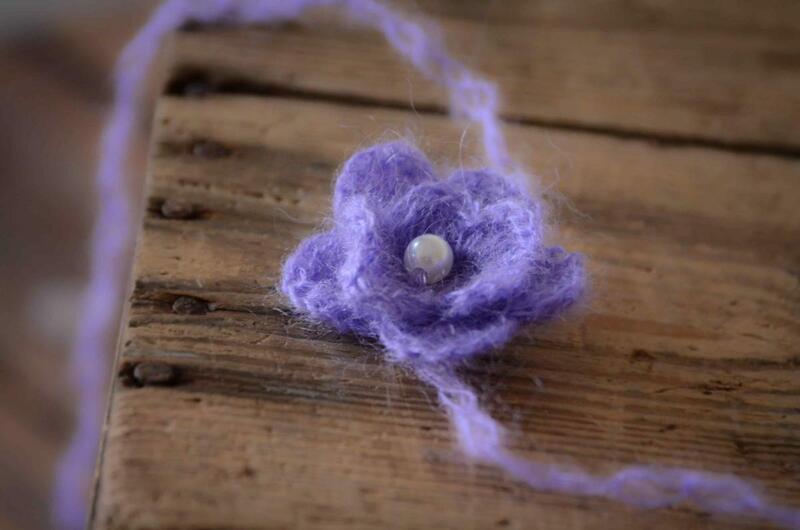 Colour: white pearl on a flower in lilac. Diameter of the flower: 5 cm.